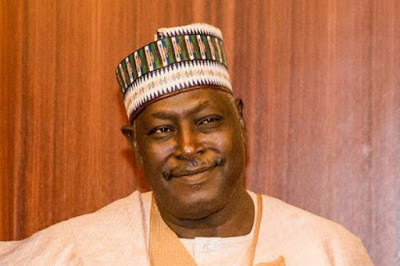 Former Secretary to the Government of the Federation (SGF), Babachir Lawal, and some other elders of Adamawa State have advised Governor Mohammed Jibrilla Bindow to accept in good faith the supremacy of the candidate of opposition People’s Democratic Party (PDP) over him in the March 9 governorship election and avoid actions that could plunge the state in crisis. There is growing anxiety in Adamawa State following apparent resolve of All Progressives Congress (APC) party and government in the state to have the March 9 election annulled against the suspicion in the PDP family and its supporters that the party’s candidate, Umaru Fintiri, was deprived of immediate victory in the first place when the election was declared inconclusive. The PDP which had earlier accused the APC of planning to get the court to stop the scheduled March 23 supplementary governorship election and possibly annul the March 9 main election, openly fingered the APC government on Thursday when the state high court granted an injunction stopping INEC from conducting the supplementary election. Babachir Lawal and the other elders who made their appeals for peace on separate occasions, urged Bindow to relax his apparent determination to stick to power and save the state of looming crisis. His and the appeal by others followed a new revelation that the number of registered voters in polling units where supplementary election was planned is not 40,948 as INEC first announced but 34,401 as the same INEC corrected in a reply on Friday to a request for figures from the PDP. A former governor of the state and chieftain of the PDP, Boni Haruna, who had much earlier questioned the rationale for declaring the March 9 governorship election inconclusive, had contended that PDP’s margin of lead in the election, which was 32,467, was higher than 31,027; being the number of PVCs collected in the polling units where election was cancelled. Against criticism of the PDP over the suit by the candidate of the MRDD, Rev Eric Theman, that led to the injunction against the scheduled supplementary election, the APC secretary, Wafarninyi Theman, said the MRDD candidate had the right to question the omission of his party logo from the ballot paper because the omission by INEC deprived him of the right to be voted for. The PDP had polled 367,471 votes in the March 9 governorship election against APC’s 334,995 to leave a lead margin of 32,467, which INEC said was lower than the number of registered voters in polling units where voting was cancelled, and for which reason INEC declared the election inconclusive.